Really quite helpful in the run up to the 2015 General Election.Obviously, if you want completely up-to-date news and information on the election, political parties and their policies, the best place to look is online. However if, like me, you want to get a base knowledge of all the parties and key factors going into the election in one neat package then this is perfect. The opening chapters on each party are written by someone who supports or is affiliated with the party which they are writing about. On evaluation I think this was the best choice for the book; it means that you are receiving an outline of the party from one who believes in what they do. It's certainly better than having all chapters written by one person claiming to be neutral who is in fact right(or left)-leaning. It also makes for a hilarious accidental HSM reference in the UKIP chapter.Overall it's very informative, has clearly laid out information and it guides you rather than tells you what to think. There are skippable chapters; personally I had no interest in a guide to political betting and when it came to the regional & constituency profiles, I read about my own constituency in depth and skim-read the others to get a feel of what was going on in each area.In particular I thought the 'Don't blame it on the coalition' and 'The demographics of the 2015 general election' chapters were very well done. 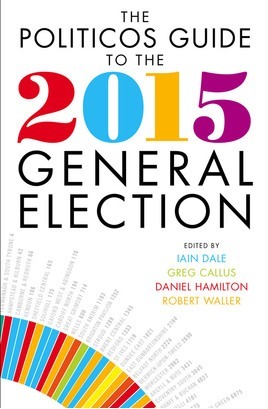 This is a really great read to get your head sorted about the general election later this year.